Keeping House presents housekeeping tasks, domestic or vocational, in a step-by-step illustrated format. 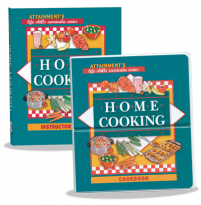 Includes a 217 page instructor’s guide focusing on 48 housekeeping activities. Each activity is illustrated step-by-step in a reproducible format. 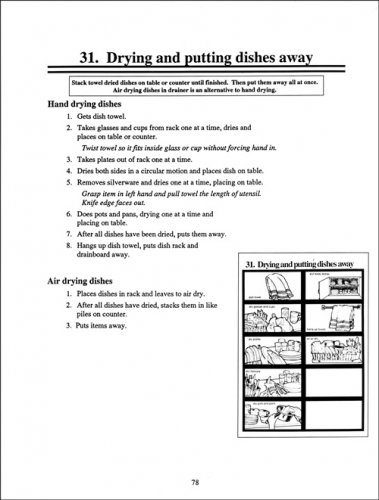 Non-readers can follow the illustrated steps to complete housekeeping tasks. Each task is also described in lesson plans featuring objectives, data forms and training suggestions. 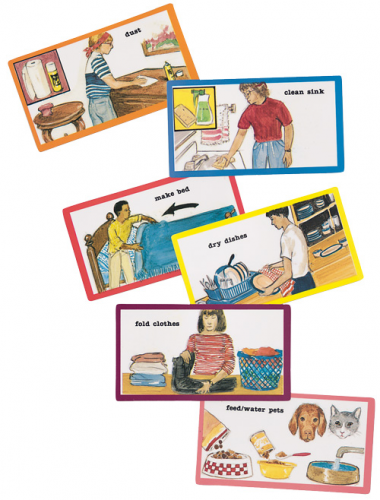 Seventy-two full color laminated routine cards can be selected and arranged in the pocket book to help users plan and remember a sequence of cleaning activities independently. 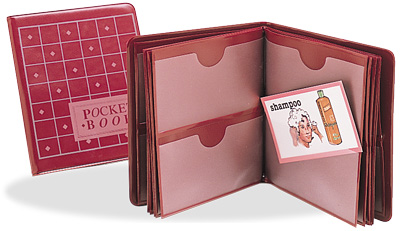 Spiralbound book with reproducible step pages, 217 pages, 72 laminated cards and Pocket Book.